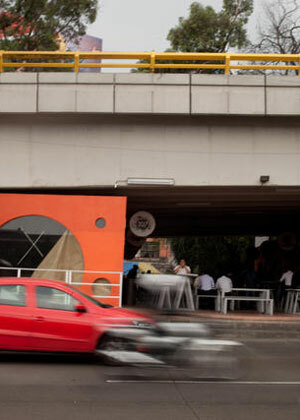 Mexico City, one of the world’s biggest metropolises, is getting creative about using the leftover spaces under its bridges. 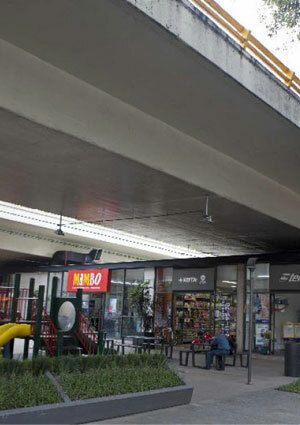 After the success of a pilot program called Bajo Puentes (or Under Bridges), which turned four previously trash-strewn, vacant underpass spaces into vibrant shopping plazas, playgrounds, and cafes, the city is expanding the program, adding another five and targeting 30 more as candidates. Earlier this summer, The Washington Post reported that urban planners in Mexico City “have found a way to add thousands of square feet of new commercial and recreational space. And it isn’t costing local government a cent.” This new private-public sector model for reusing underpasses is a smart one: Get local developers to pay for the construction and upkeep of the spaces. This is how it works: the city government’s department of housing and urban development (SEDUVI) asks business owners and developers to take on leases for these places at below-market rates, but also asks them to pay for the clean-up, construction, and upkeep of the sites. Local businesses have to leave 50 percent of the area as public space, but 30 percent can be used for commercial purposes, and 20 percent for new parking. He also told Azure magazine, that these place are “well-lit at night” and “they attract a lot of people.” With the addition of pedestrian walkways, these are actually safe place to be in. Mexico City admits it’s not a trend-setter here and has actually copied this model from other cities. Indeed, many densely-packed Asian cities have long maximized spaces under their expressways. 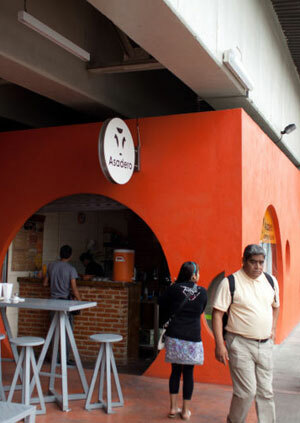 But this demonstrates how underpasses are increasingly being viewed as assets everywhere. See how Toronto is revitalizing an underpass with a new park. See more images of Under Bridges. while this is all very interesting, this is hardly groundbreaking. you should look to Taipei for pretty interesting ways to use the space under a bridge in the city: the long standing, famous Flower and Jade Market, gas stations, parks, parking, skate park, micro galleries…you name it and they will put it under the bridge. Smart use ? Oh yes – Mexico City definitely needs more commercial space! Smarter might be a place where people can actually sit, think and hide from the traffic, noise, congestion, fumes and constant prodding to buy. Reblogged this on IFLA News Brief. over in eindhoven, near the recently converted phillips factory is a community center under an underpass. very well done and a perfect example of creating new space for the community in creative ways.